This new review of The Righteous Mind on Amazon helps to explain why I think Heterodox Academy is not as effective as it could be, and why I recommend education in the lessons of The Righteous Mind as a more effective approach. Education goes beyond effects and addresses causes. It bypasses symptoms and inoculates against the disease. It’s a vaccine. What’s more, it’s curative. It actually decreases, or at least significantly diminishes, the disease. It’s an antibiotic. 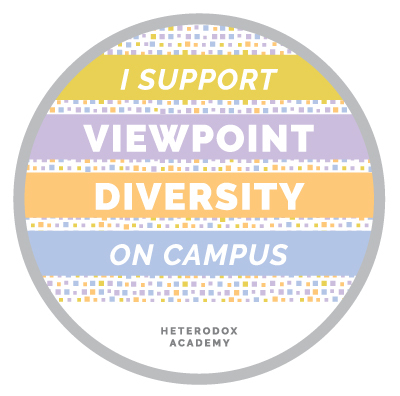 Viewpoint diversity doesn’t do those things, or if it does it does them nowhere near as well. It’s only palliative, like a decongestant. It suppresses the runny nose but does little about the infection. I’ve read a lot of books in my life. Psychology, Poetry, Biology, Business Theory, Self-Help, Nutrition, Economics and so many other subjects are represented in my home library. The Righteous Mind is hands-down the most important book I’ve ever consumed. 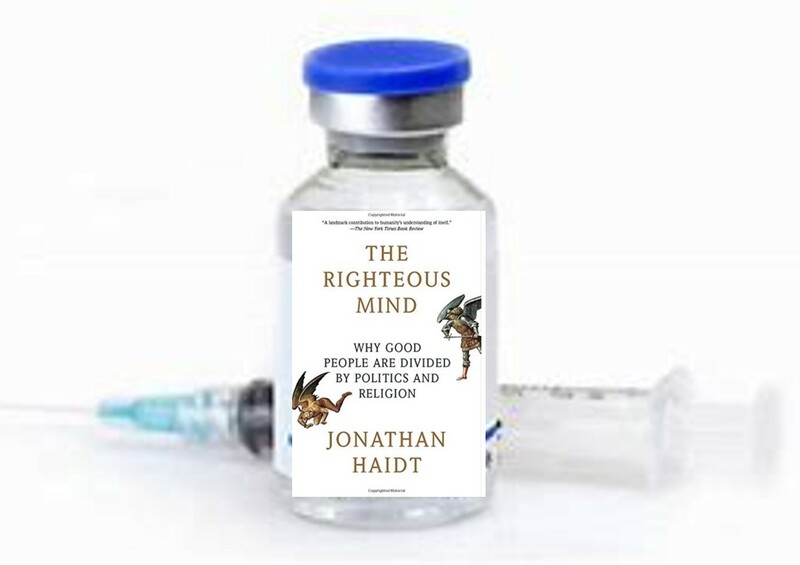 Haidt’s understanding of human morality and the science of communication and decision making are weaved together into an approachable, beautiful and potentially life changing symphony. Enough has been said about why you should read this book so I want to use the rest of this review to tell you exactly what I experienced after finishing this book and how it became “The most important thing I’ve ever read”. I’m a person who considers myself well-read and a champion for pragmatism and logic. You can probably imagine how frustrated I felt when I was consistently unable to win arguments about out-there, government’s coming for us-so buy some guns, conspiracy discussions. Something had to give, so I went searching and ended up on this book. I read it, digested it and decided to try and apply the principles to my communications. I was determined to “align with their elephant” first so I could then shift their mindset to my point of view. Let’s be honest: I was just trying to manipulate other people into seeing things my way. One of the foundational pieces discussed in the book is the fact that we, as humans, make decisions in the parts of our brain that aren’t subject to critical thinking. If you want to sway someones opinion, Haidt suggests, you must first appeal to their elephant (the emotional part of their brain or “why they feel the way they do”). In the effort to start practicing this: I dedicated myself to asking “why do they believe this way?” first and only made suggestions after I felt that I could articulate what the other person was “feeling” about the subject. A crazy thing happened: many times I would find myself changing my mind about a subject mid conversation. As it turns out, other people aren’t quite as crazy as I thought, they just have different experiences than I do. After I spent some time training my brain, I started to conversate this way without any conscious effort. I actually seem to have re-wired my brain. The implication of this can’t be overstated. I only wish everyone could read this book, understand their natural decision making process and be aware of what’s happening to them when they have disagreements or strong opinions on a subject.